The London Medical Education Academy (LMEDAC) was founded with the goal of removing the live patient learning curve. The Facial Anatomy: Dissect and Inject course goes one step further to achieve this goal. This course gives you the chance to really find out what goes on under the skin with a one day hands-on dissection course using a fresh frozen cadaver. During the day you will dissect the upper, middle and lower face areas to truly understand the anatomical layers of the face and will follow this by injecting into the key zones and seeing the outcome of that injection. At the end of the day you will receive 7 CPD points to put towards your on-going learning, with your recognised body. 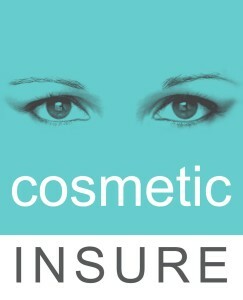 Cosmetic Insure is a market leading provider of insurance products and services specifically designed for Aesthetic Practitioners and Cosmetic Surgeons. Managing Director, Janine Revill ACII, believed that for too long there was a genuine lack of choice for Aesthetic Practitioners and Cosmetic Surgeons when purchasing insurance products and services. This lack of choice had stifled innovation and competition. Working together with market leading insurers with a wealth of knowledge of the Cosmetic Surgery and Aesthetics industries, Janine launched Cosmetic Insure to bring about a real choice and new ideas. This was demonstrated with a market first when Cosmetic Insure launched the first ‘Quote & Buy’ website for Aesthetic Practitioners to purchase their insurance at any time of the day. Two years on and our team and client base is growing rapidly. This has been fuelled by excellent market reviews and feedback from our customers. All Cosmetic Insure clients have access to our Free Medico-Legal helpline for Medico-Legal assistance providing support and guidance from the earliest stages of a complaint and our ‘Members Only’ website providing invaluable advice on dealing with complaints and other risk management advice, such as when to involve your insurers. 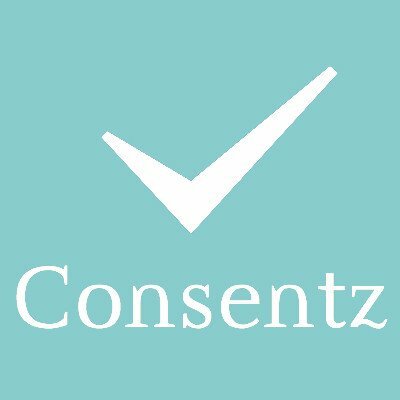 There is also lots of information and guidance on creating patient consent and information forms and as training courses can be expensive, we have negotiated discounts on selected training courses to enhance your skills and treatment range. Our experienced team can offer free advice on all products from Medical Malpractice to our comprehensive Clinic package. For more information click here, don't forget to quote Save Face as your referral source. Hamilton Fraser Cosmetic Insurance has been insuring medical practitioners since 1996. We are industry experts and pride ourselves on the quality of our service and the retention of our customers. We understand the insurance and aesthetics industry and will support you throughout the complicated process of choosing the right protection for your business. To receive free advice about how to manage your risks and protect your business. For more information click here, don't forget to quote Save Face as your referral source. The Northern Aesthetics Practitioners Group (NAPG) was formed Dr Lee Walker in 2014. They combined 25 years aesthetic experience in order to provide aesthetic practitioners with education, support, and guidance in a welcoming environment. The aim of the NAPG is to share experiences and learn together as a community. The NAPG places a strong emphasis on increasing levels of patient care and safety. We welcome you to become part of a community blessed with enthusiastic, experienced likeminded professionals. The Consulting Room, launched in 2003, is the UK’s largest and longest standing aesthetic website providing clear and unbiased information to the public on a wide range of surgical and non-surgical cosmetic treatments, combined with a searchable directory of UK & Ireland based clinics. The site is therefore able to generate new client referrals for treatment providers via specific search criteria. 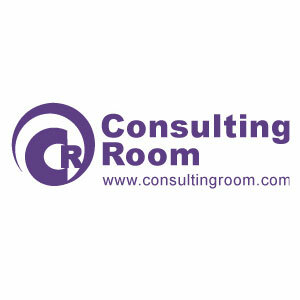 But, The Consulting Room gives clinicians much more than just new business referrals, thanks to its clinic membership subscription which includes regular e-news and magazine updates on industry specific issues, access to a members only portal packed with information, direct business advice, exclusive supplier deals and discounts, free classified and recruitment advertising, plus delegate discounted rates on CPD certified clinical and business seminars. There is simply too much to mention here! The Consulting Room is pleased to be able to offer Save Face accredited clinics and practitioners, who are not existing Consulting Room Members, 10% off the cost of your first year’s subscription to our services. Simply call the team on 01788 577 254 and quote your Save Face accreditation number. Save Face are working in partnership with ProTrainings to offer our accredited practitioners an exclusive 40% discount on a wide range of training courses including; CPR, First Aid, Anaphylaxis Awareness, Infection control and many more. 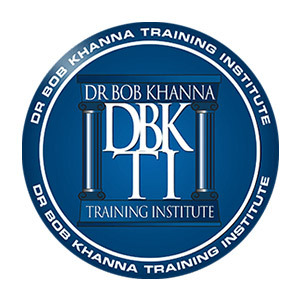 ProTrainings are a nationally recognized training company, providing e-learning and blended courses for specifically developed a busy medical professionals looking for an alternative to conventional classroom training. Aysgarth Chartered Accountants are a friendly progressive firm of Chartered Accountants who look after clients across the United Kingdom. We are able to do this through the use of Cloud Technology: we have clients’ accounting records in the Cloud, we issue payslips, year end accounts and tax returns via the Cloud and we file accounts at Companies House and Tax Returns with HM Revenue and Customs across the internet. We work closely with Save Face to help get your business set-up and then running worry free. From our experience we have prepared three special Save Face accounting packages to ensure that you are looked after by a named accountant. After an initial investment by you, we can provide you with your unique limited company, set up to meet your personal circumstances. For a monthly fee we would then be available to help you meet your monthly, quarterly and annual obligations. There would be no surprise bills or large annual invoices. If you require any additional services beyond those offered by the Save Face packages then we would be happy to discuss those with you on a one to one basis. The Save Face packages are available to their registered members and are for businesses that want to trade through a limited company. All packages include the Cloud-based Xero accounting package. The Silver Package is ideal for those businesses that are below the VAT threshold and where the owner is paid a salary from a second job. The Gold Package is aimed at businesses that are below the VAT limited but the company is the sole source of income for the owner. The Platinum Package is for those businesses with serious plans to grow and become established as a significant independent player in the non-cosmetic surgery sector. Save Face Accredited practitioners and clinics are eligible for exclusive discounts on Aysgarth’s service packages. Access full details in the ‘Accreditation Benefits’ section in your Save Face dashboard. As the UK’s only dedicated call handling service to the aesthetics sector our focus is your clients. Whether we are providing our appointment bookings and full diary management Engage Plan, or simple, efficient message taking, great customer service is at the heart of our offer. With phone cover over an extended 66 hour week, AR’s experienced and skilled team can become a seamless extension of your in-house team, or indeed your sole front of house support. Save Face Accredited practitioners are eligible for exclusive discounts on Aesthetic Response’s Service Plans. Access full details in the ‘Accreditation Benefits’ section in your Save Face dashboard.